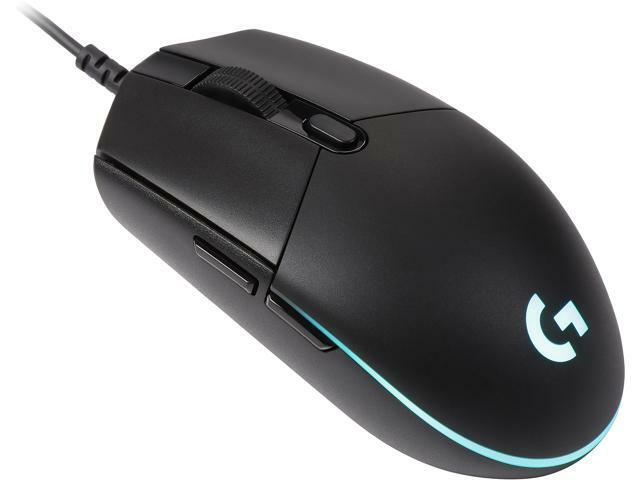 Computer mouse manufacturers seem to have immensely increased their production in the recent past, adding even more complication to the challenging task of landing the most suitable gaming mouse. Furthermore, the rise in mimicking each other’s popular designs, among manufacturers, and incorporating totally new features —as well as gimmicks — in a move to outdo competition hasn’t done much to help the confused customer. Consequently, one is forced to decide what product is a pure waste of time, and which one is actually worth its salt. That’s why reviews such as this are so important. This particular one relies on high level tests and research to identify the gaming mice that guarantees the most value. Since different mice are built differently, and for different purposes, the first step to finding the best gaming mouse is determining the user’s gaming behavior. For instance, a person who prefers sims or strategy games, and is involved in plenty of office work, would benefit more by acquiring an ergonomic gaming mouse, such as the Logitech MX Vertical. On the other hand, another gamer may be mainly interested in a mouse with higher IPS and CPI rating. The best thing Logitech did with the MX518 is they upgraded the previous 1,800 CPI sensor with the new HERO sensor with 16,000 CPI, which is wildly accurate, hence boasts of unmatched performance. Enhanced precision and sensitivity helps massively with strenuous productivity tasks and seamless gaming. The superiority of the Logitech MX518 can be attributed to its primary focus on the essential features of an excellent gaming mouse, unlike the unnecessary fluff and bloat rampant in other products. The result is not only a streamlined gaming mouse, but also increased control by Logitech to prevent outrageous price inflation. The included ARM 32 microprocessor that combines with the sensor to bring about a report rate of 1 ms is also worth noting. The first thing Razer got right with this mouse is the shape, no wonder it has maintained the same outstanding shape all through. The shape is meant to work well for a wide range of hand sizes and grips, and all sorts of tests carried out prove that’s the case. The mouse incorporates a topnotch 16,000 CPI optical sensor, which boasts of 450 IPS rating and 99.4 percent resolution accuracy. This guarantees flawless tracking, regardless of how fast one moves the mouse. 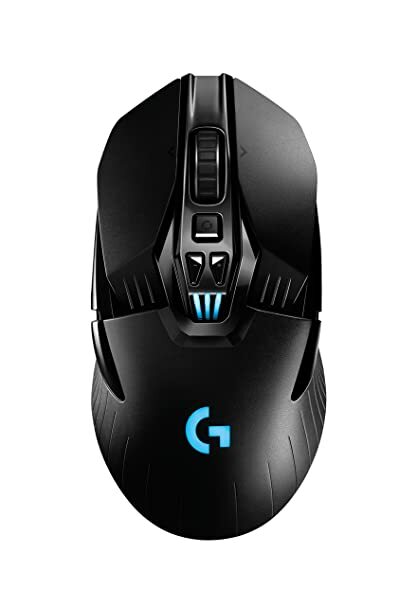 Also known as the G102 in some areas, this mouse is popular for its ergonomic shape, excellent gaming driver software, and more. Its enhanced comfort and superior grip is a blessing to MOBA or FPS players to whom an active grip is exceptionally vital. While the G203 Prodigy isn’t built with the high-end sensors available in other Logitech mice, several tests have proven that the included Mercury sensor is relatively impressive too. It comes with 8,000 CPI and doesn’t experience any major acceleration or jitter issues. Provided one is not in dire need of exceedingly high CPI settings, this mouse is literally a steal at an affordable price. If this review were to rank the best wireless gaming mice, the Logitech G903 would surely carry the day. The mouse also supports wired mode once you plug in the micro USB cable. Weighing only 107 grams, the G903 is remarkably light. Its PMW-3366 sensor also makes sure it’s reliable at both high and low CPI settings without significant cursor jitter or acceleration issues. Moreover, mouse’s ambidextrous designs incorporates removable thumb buttons on both sides, making it compatible for various hand sizes. In addition, its incredible pivot bar click mechanism sets it apart from the competition. The only drawback is that it’s expensive, but that can be justified by its brilliant performance. Avid gamers recognize that the outcome of a game can be swayed by the quality of the gaming mouse. Consequently, they handle the process of getting a new mouse with the seriousness it deserves. Click here for more exemplary and exhaustive mouse reviews.